I didn’t exactly have the most average upbringing and so have a bit of an aversion to mediocrity. 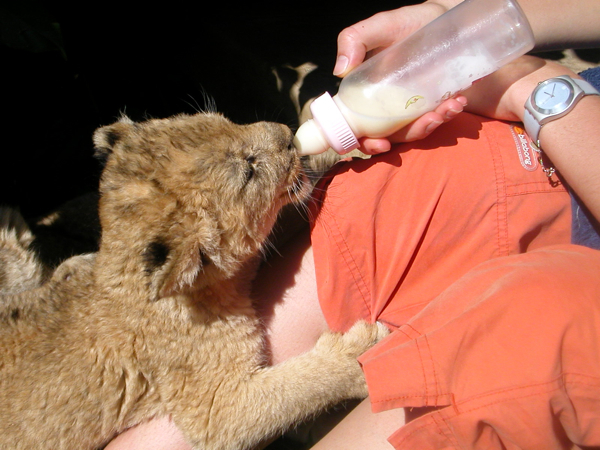 Growing up with lions on our little game reserve and bottle feeding cubs in the middle of the night is considered perfectly normal in our household, just to put it all into context. (You can also read more about our conservation volunteer project that we run here). That said, even I raised an eyebrow when I first saw this recipe, and it took a fair amount of deliberating for me to finally gather the ingredients together and give it a bash. And of course, it’s now featured here because it’s absolutely worth taking a sniff at. 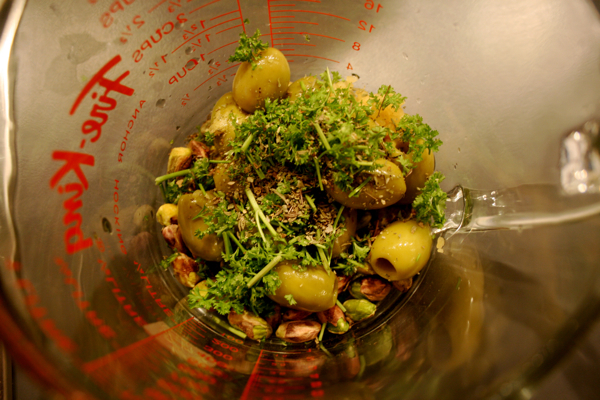 In a food processor combine the pistachios, olives, capers, garlic, herbs and puree. While the machine is running, slowly drizzle in olive oil until the mixture becomes a paste. Add the zest and pulse 1 more time, drizzling in more oil if necessary. 1. Season your six lamb chops generously on either side with salt and freshly ground black pepper. Allow them to sit for 10 to 15 minutes before cooking. Preheat oven to 180C. 2. Coat a large pan generously with olive oil and bring to medium-high heat. 3. When the oil is hot but not smoking, add the lamb chops and cook for about 2 minutes on each side to brown. If the pan begins to smoke, lower the heat. 4. The chops should be nice and caramelized on both sides. 5. Remove the chops to a baking tray and smear generously with the pistachio tapenade. Place in preheated oven and cook another 4 to 5 minutes (medium rare and deliciously pink). 6. Remove chops from oven and let rest for at least 5 minutes before serving.